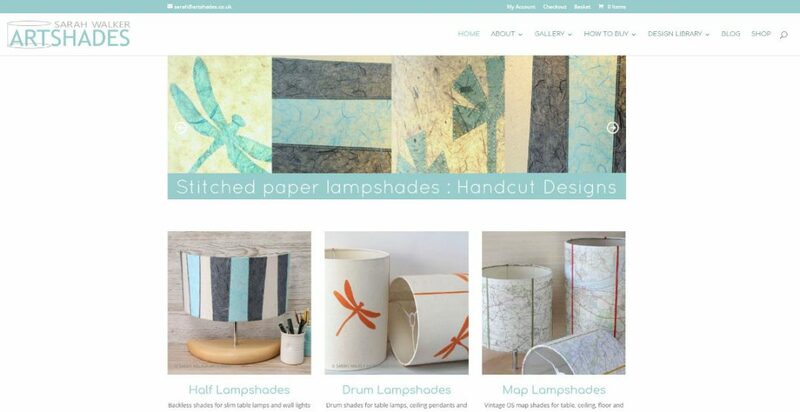 Sarah Walker has been making lampshades from appliquéd papers since 1999. All her designs are stitched on her sewing machine and hand cut from paper, giving lovely surface textures and clean edges to the shapes. Her shades can be custom-made to order in colours and designs to suit you. I originally designed a website for Sarah many years ago, but it was time for an update and a new design was created, working closely with Sarah. The new site incorporates a blog, a portfolio, events and an e-commerce shop.